Odds are we're not going to have the luxury of machines to help us do the simple things like can our own meats and vegetables forever. 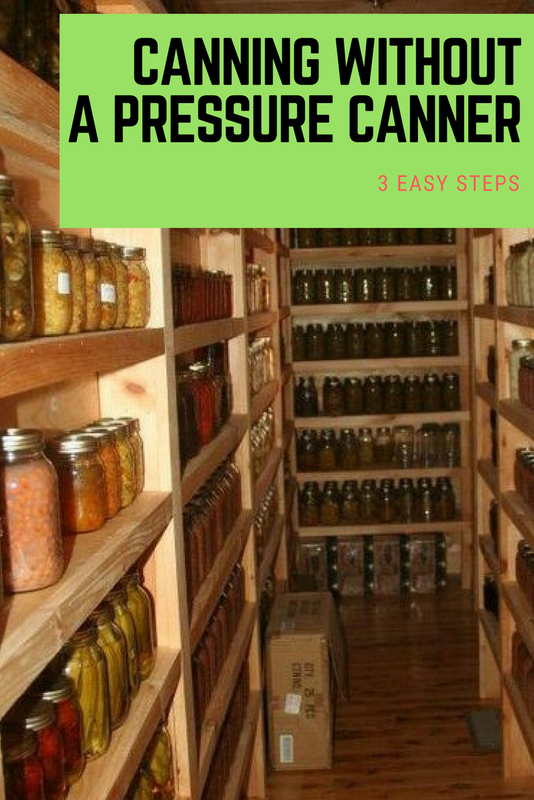 So it makes sense to learn how to can your own meats and vegetables without a pressure canner now, instead of waiting until it's too late to have the skill ready. Which might cost you more than you think. There are two schools of thought when it comes to this subject; "canning in the oven" and "canning in boiling water". You literally can't do this process if you skip this step, so let's get the foundation right before we try to build the food pyramid on a thin foundation. There are two things to look at when selecting the perfect jar for canning, the size of your jar and the lid. The best brands of jars you could use for canning are also the most common and well known, the kerr ball mason style jar. There are other designer brands of jars that are a bit more appealing to the eye, but we're looking for efficiency not shelf appeal, right? So go with a mason jar or kerr ball. The size of the jar is up to you though, you can use a 16 oz. or 32​ oz. 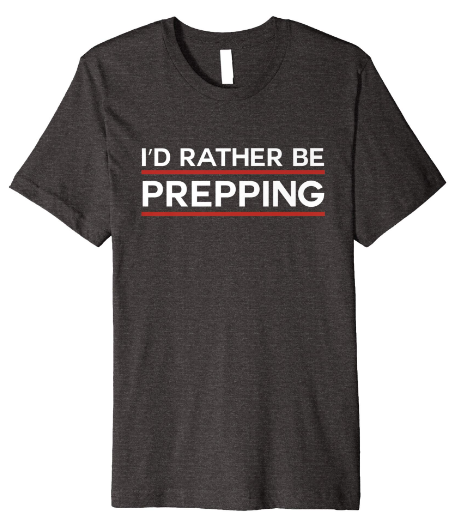 depending on the amount of food you're canning at the time. And some expert canners believe the size might affect the flavor, but we think that might be a bit of a stretch. Next is the lid, you have the option of an all in one screw lid and a two piece flat lid with a thin metal gasket to seal with. Now there really isn't any competition if you're deciding which to use for the best and longest air tight seal. You want to go with the two piece flat metal and gasket lid. Otherwise known as waterbath canning, this method was the original way canning was done, honestly it's still the best and most reliable way. But since this method is from a bit more of a primitive time there are some dangers to doing it this way. First of all the safety of your hands, because it requires you to immerse the jars in boiling water multiple times and if you like your hands to be usable then you might want to invest in some equipment like a jar lifter. To begin with canning with a water bath you'll need to find the recipe you'd like that fits your needs and time. Next you'll want to do a maintenance check on all of your equipment to make sure everything is solid and in working order. Make sure the lids are able to be sealed, the jars don't have cracks or dried food if they're being reused, and that your bath will have a consistent heat source for the foreseeable future. For this step you want to make the water hot, but not boiling just yet. This is to make the glass flexible so that they won't break when you add the hot food. You'll want to fill the jars with hot water and place them into a stockpot that has been filled halfway with hot, but not boiling, water. Most kitchens will have a pot large enough to double as a boiling bath pot. all you really need is a large stew pot that can fit a few jars in it. If you want to get adventurous you can use a propane tank and a pot meant for crawfish or frying turkeys, these work great! The pot must be large enough to fully surround and immerse the jars in water by 1 to 2 inches and allow for the water to boil rapidly with the lid on. You'll want to fill the pot half way and bring to a simmer with the lid on until your jars are filled and ready to be placed in the pot.​ And don't forget to line the bottom and sides of the pot with padding of some sort, a rag usually does the trick well. It's just finding a way to get the rag to stay in place that can be difficult. If you don't have the rag or some cussion the jars will likely break due to the heat and banging around. Now that everything is in place to begin canning you can prepare the food you wish to can. Just follow your favorite recipe for jams, preserves, or meats and get it ready. Once that's done and ready to be put in jars you'll take the hot jars out of the water using the jar lifters​, remember not to grab too tightly or you could break the jars. Empty all the water out of the hot jars carefully, and then begin filling the jars with the recipe. Leave a quarter of an inch to a half inch of space between the filling and the lid. If necessary clean the jars around where the lids will screw on, otherwise the lids won't seal well at all. Use a damp cloth to do this. You'll want to place the lid on the clean jar and apply the screw top with a tightness of just finger tip tight, too tight and you risk breaking the jar. Keep the full rolling boil going as long as the tested recipe says. Once the time is up, turn off the heat and allow the jars to sit for 5 minutes. This allows the water to cool down and the jars will be less fragile. When taking the jars out of the pot you'll want to place them on a soft towel, as the drastic temperature change could cause the jars to break. 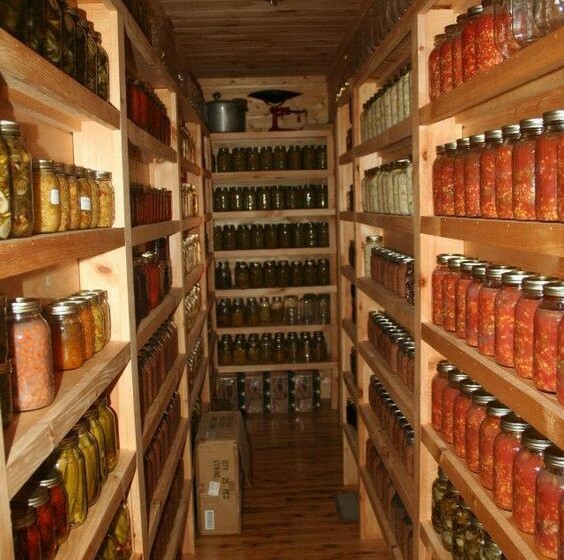 Then you'll want to leave the jars undisturbed for 24 hours. Test the jar lids for proper seals after the 24 hours. Lids should not flex up and down when center is pressed. Remove bands. Try to lift lids off with your fingertips. If the lid cannot be lifted off, the lid has a good seal. If a lid does not seal within 24 hours, the product can be immediately reprocessed or refrigerated. Clean mason jars and lids. Label and share then store in a cool, dry, dark place up to 1 year. Oven canning is likened to using a microwave to cook a meal, it gets the job done, but not the best way of getting the most quality. The basics of the steps are the same; however, the time is the main difference. And most good things take a bit more time as most of us know. You'll want to follow the same preparation for the jars as if you were still boiling in a bath. You will boil the jars in simmering water until you're ready to use them. Except instead of having to prepare another bath of water to boil you just turn on the oven to 250 degrees when you put them in there! While the jars are doing their thing in the simmering water bath, you'll be preparing the stuff that you want to be canned. Whether that's jams, jellies, or meats it's up to you. Most anything is able to be canned either in a water bath or oven. Once you've removed the jars from the simmering water, filled them, and cleaned them off you're ready for the easiest part of this experience, putting them in the oven and turning it on! That's really as simple as it gets. So you'll put the jars in the oven, turn it on to 250 degrees, once it reaches that temperature turn it off and let them sit for up to one hour. ​After that you can either carefully take them out of the oven and place them on a towel to avoid breaking, or just let them cool off in the oven overnight. The two best ways to can food when you don't have a pressure canner! This is fine advice for acidic foods: tomatoes, fruits and high sugar items like jam but you should NOT can meat and low acid vegetables or mixtures like soup this way! This is a recipe for botulism! You do need to pressure can low acid foods in order to reach temperatures high enough to safely preserve low acid foods.